Whether you are just beginning to think about college, are considering transfer to UC San Diego, or have recently been accepted, we want to help you choose UCSD and Muir in particular as your possible home for the next two or four years. 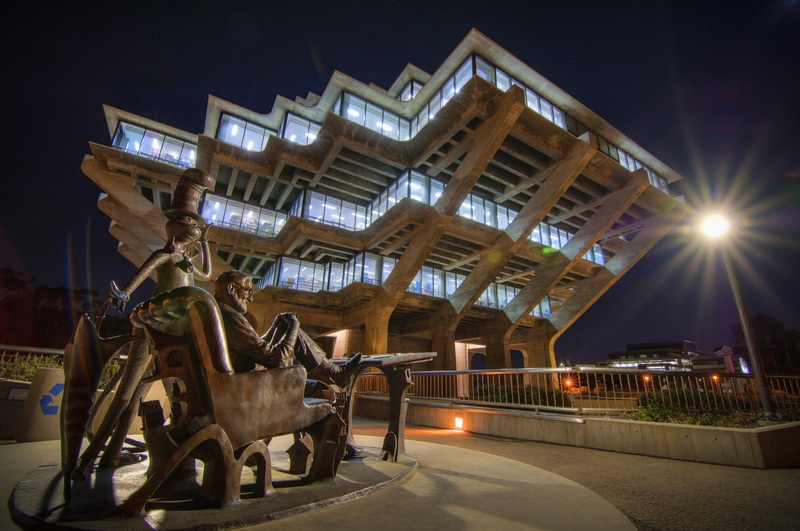 Why Choose UC San Diego? Our amazing faculty, including winners of the Nobel Prize, McArthur "Genius" Award, and more than 80 members of the National Academy of Science. They are the thinkers doing research that will shape the future. Chances to work directly with them through undergraduate research opportunities like the Faculty Mentorship Program, the Ronald E. McNair Program, and departmental Honors. Large university resources (great labs, libraries, and study facilities) with a small college community. Muir is a home base where you live, work, and play with bright, friendly, and innovative peers and a supportive team of college staff. Why Choose John Muir College? We believe students benefit most when allowed freedom to choose courses meaningful to them in a program with both breadth and depth across sciences, social sciences, arts, humanities, and foreign languages. Our GE curriculum make it possible for you to double major, pursue a minor, or study abroad while still graduating in four years. For transfer students, Muir accepts IGETC (but still requires one writing course at UCSD), or will waive the GE sequences if you completed GE requirements at another UC campus, which may help you graduate without additional GE courses. If you live at Muir, our residence hall houses and suites make it easy for you to build friendships. Muir has a strong sense of community, reaching out to commuters and continuing students as well as our residential students. With over 25 student organizations and committees, you have plenty of chances to develop leadership skills and have a good time. Muir students are involved and social and still move on to some of the best graduate and professional schools in the country. The College Center, unique among UCSD's six colleges, provides a welcoming hub for life in Muir.